Having a career in ship design and construction, I've wanted to create a ship themed pen since the start of Signature Woodcraft. 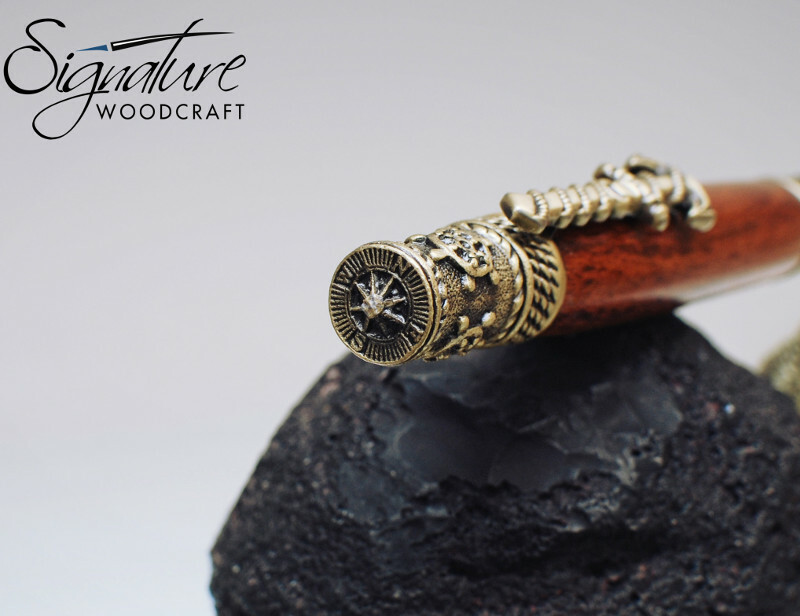 Finally, we are pleased to introduce our new Nautical themed pen. The pen features an engraved image of a tall ship on the tip. Other design features include a captain's wheel and compass at the end. Nautical rope accents can be found throughout and encircling the detailed anchor clip. The components shown here are in antique brass, and appropriately, the wood is Teak.